Testing season is upon us. In our Title I elementary school in Central Wisconsin, we have had students preview the computerized assessment. The Chromebooks have been configured and the wireless tested. For the next six weeks, all 3rd through 5th grade students will be taking the Forward Exam, our third different standardized test in as many years. All of our students except one: My son. He will be sitting this one out. Our reasons are many. As a parent, I don’t believe the test will glean any useful information about his abilities as a learner. As our school’s principal, I want to set the example with regard to my position on this issue. As a person, having a student sit for multiple hours taking an examination that will have no bearing on his school career makes little to no sense. Students at this age cannot advocate for themselves. This is not a simple or straightforward decision. Our school has been the recipient of $100,000 in state-level grants for the past three years in large part due to our student achievement results. We have taken pride in receiving these awards, in spite of the reality of how we received them. If other families in our school elected to opt out their kids, our school could lose federal funding – 95% of a school’s student body has to take the test to avoid sanctions. As I said, not so simple. For these reasons, we are not only opting our son out of this year’s standardized test; we are also opting him into a performance portfolio assessment. While the rest of the student body is testing, my son and I will be working together to develop an online repository of different artifacts that demonstrate his progress and performance during the school year. Each artifact will be accompanied with a personal reflection about why he included the piece and what knowledge, skill or disposition it showcases about him as a learner. We are using Google Sites for this process. He can take this digital portfolio with him throughout his school career, adding to it and replacing artifacts when appropriate. I have no problem with families electing to opting their child(ren) out of the standardized test. It certainly makes a point and, collectively, can lead to some much needed change in education. At the same time, when we express our dissatisfaction with something currently happening, I believe we should also be offering some alternatives and creative solutions. Otherwise, we may create a vacuum that gets filled with something pretty similar to the problem we were trying to get rid of in the first place. If we are opting out our kids of the standardized test, let’s be honest about why with them. When I spoke to my son about this decision, I explained that I believe developing a performance portfolio of his best work from the school year was a better way to showcase his learning than a standardized test. (He responded with, “I’m not sure what you are talking about, so I’ll just go with it.”) I also shared with him that this decision was both taking a position on an important issue and offering a solution to the problem. Opting out is easy. Coming up with solutions is harder, yes, but it is also an essential part of advocating for equity in public education. Why not be a part of the solution? I joined Dr. Rachael George for a podcast on BAM Radio to discuss my ASCD Arias book 5 Myths About Classroom: How do we integrate digital tools to truly enhance learning? Enjoy! 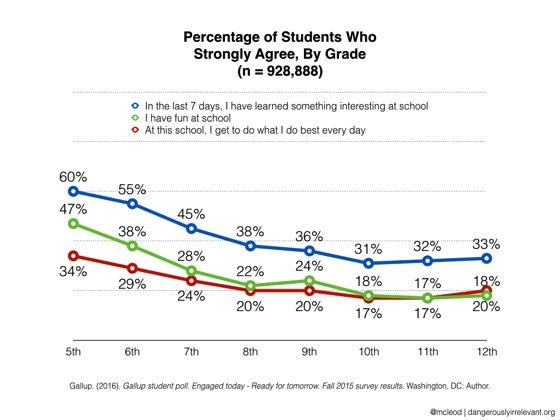 Scott McLeod shared on his blog survey results from Gallup about the level of engagement in learning that secondary students are experiencing. When almost 1 million students state that they become less engaged the more years they spend in school, this is a cause for alarm. 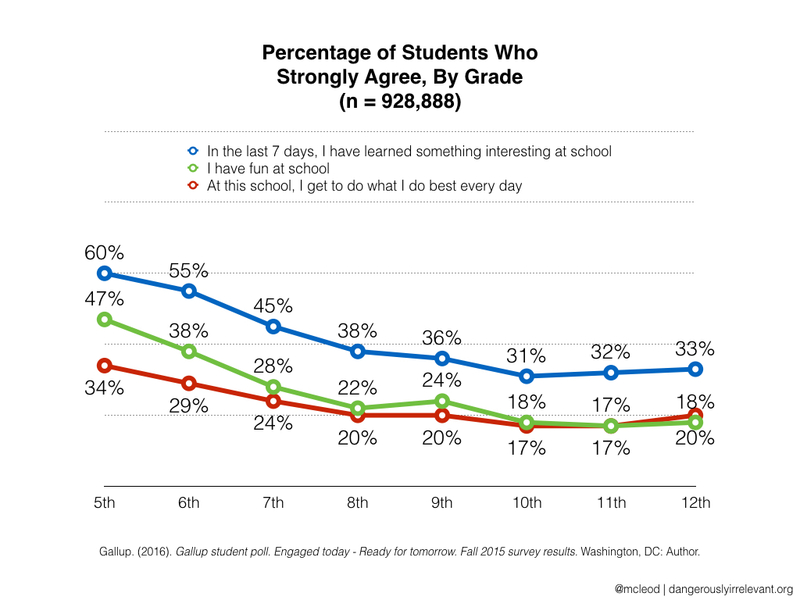 These results say more about education than any test score might reveal. Below is his post. The biggest indictment of our schools is not their failure to raise test scores above some politically-determined line of ‘proficiency.’ It’s that – day in and day out – they routinely ignore the fact that our children are bored, disengaged, and disempowered. We’ve known this forever, but we have yet to really care about it in a way that would drive substantive changes in practice. The disenfranchisement of our youth continues to happen in the very institutions that are allegedly preparing them to be ‘lifelong learners’. 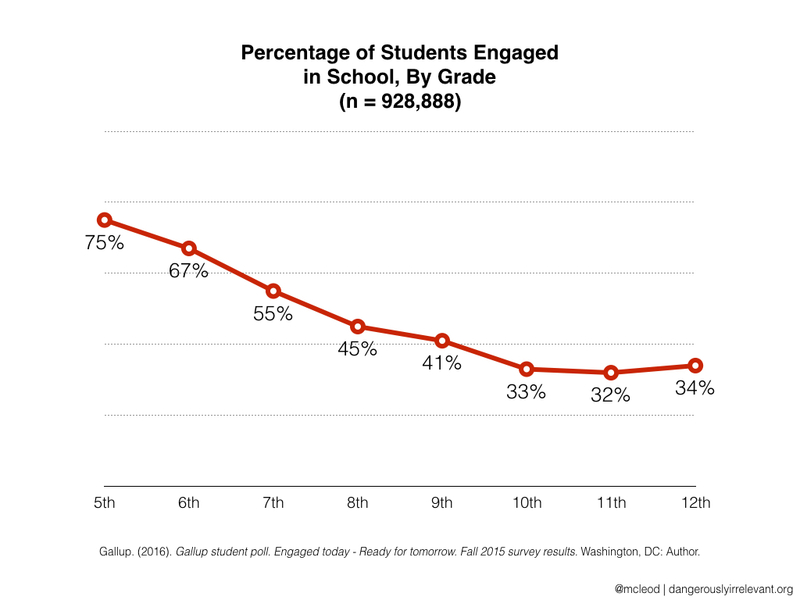 Why do you think students continue to become more disengaged as they progress through our school systems? Please share your ideas in the comments. This is the story of one brilliant idea and the child who helps to bring it into the world. As the child’s confidence grows, so does the idea itself. And then, one day, something amazing happens. This is a story for anyone, at any age, who’s ever had an idea that seemed a little too big, too odd, too difficult. It’s a story to inspire you to welcome that idea, to give it some space to grow, and to see what happens next. Because your idea isn’t going anywhere. In fact, it’s just getting started. It’s been a year and a half since I published my first book on digital portfolios for students. In the time between then and now, my beliefs regarding the smart use of technology to provide authentic, connected assessment for students to showcase their understanding and skills have largely stayed the same. I continue to reference this resource in my workshops, such as the one I facilitated today at AcceleratED. The visual was designed to locate access as the cornerstone for all of the other work we might engage students in with regard to digital assessment. The purpose of the learning task and the audience for this work would envelope the access students require to share their learning in ways that best meet their needs and preferences. 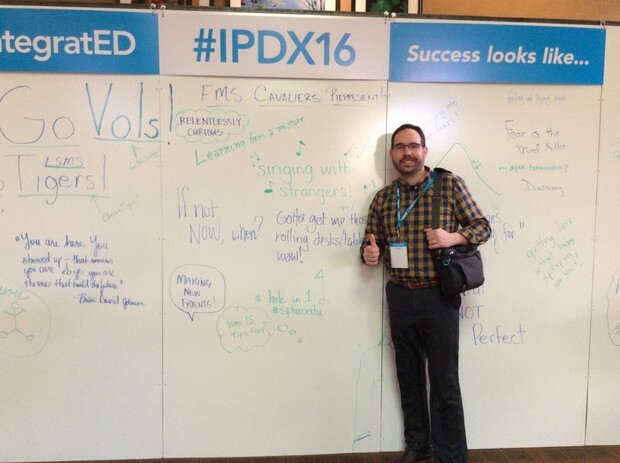 My thinking has not changed in these three tenets of engagement with digital assessment. However, I am wondering if this visual is the only representation for this framework. As I was flying over the Rockies from Denver on my way to Portland for the excellent AcceleratED experience, a new visual coalesced. In my subsequent experiences as a school principal who visits classrooms regularly since writing this digital resource, I have found that the digital portfolio assessment process is as much of a cycle as well as a framework. Was I wrong in my initial thinking? I don’t think so. It was my paradigm at the time. I think the premise still holds true. What I’ve realized since then is, what I imagine as a mental model doesn’t necessarily translate to reality. As a lifelong learner, I’ve received a lot of feedback from other educators and explored different perspectives on this topic. The more I learn, the more questions I have. The main message from What Do You Do With an Idea? is that when we share something new and possibly innovative to the world, it is hard to predict where the idea might lead. Others start to own it, put their personal stamp on it, and eventually make it their own. This is okay. I have given digital portfolio assessment “some space to grow, and to see what happens next.” It wasn’t my original idea anyway. The initial framework has evolved due to other educators’ perspectives and from my own reflections. Who am I to stop these continuous iterations? I look forward to what the framework might look like in 2017. 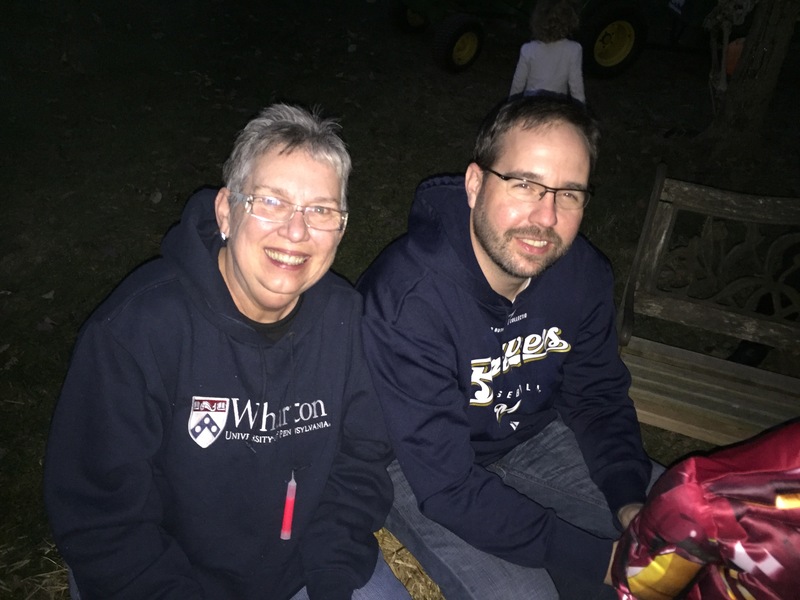 This past weekend, my family and I headed south to visit family in Illinois. This is where I’m originally from, and most of my family members still reside there. 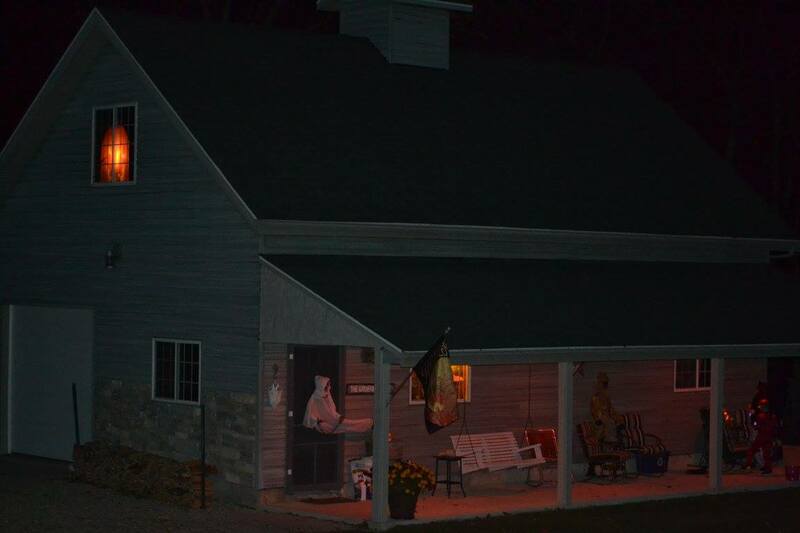 The highlight of our trip, besides the “really awesome” pool our two kids enjoyed at a hotel in Rockford, was the Halloween party hosted by my aunt and uncle in Seneca. Cell phone service was very limited. It was just as well. Everyone who was there I rarely got a chance to see in person. 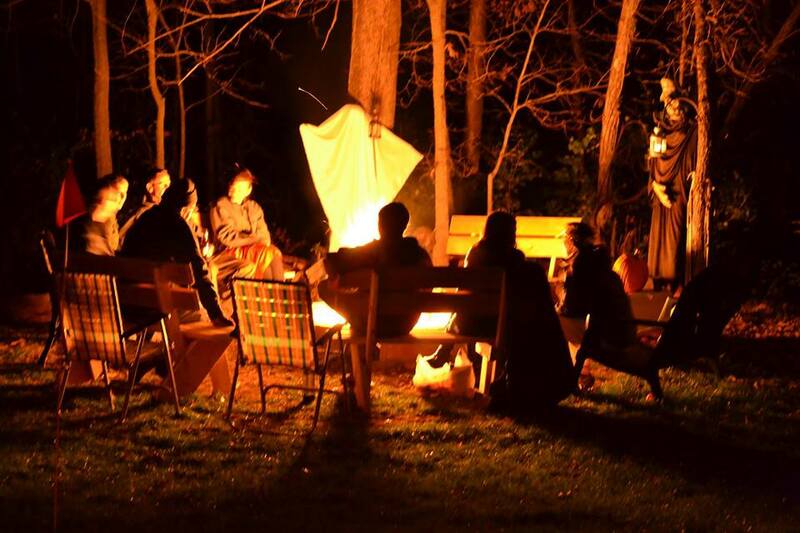 We spent time with each other next to the night fire, sharing our news and our personal highlights. More than once, a relative referenced a picture and/or comment one of us made on Facebook (usually about our kids). We shared a laugh about the event that we would not have known without social media. These connections served to bring us closer together. #SatchatOC Topic: How does social media and connectedness advance professional development for educators? How should we be defining connectedness? Many of us view this concept through the lens of social media and online networks. Do we prioritize our digital connections over the those we are in close proximity to every day? Can we be simply connected and still experience a feeling of connectedness? My preferred definition of “connectedness” within the education profession comes from Parker J. Palmer, in his classic resource The Courage to Teach: Exploring the Inner Landscape of a Teacher’s Life (Jossey-Bass, 1998, 2007). Palmer defines connectedness as the ability of teachers “to weave a complex web of connections among themselves, their subjects, and their students so that students can learn to weave a world for themselves” (pg. 11). This web extends beyond our online connections. While there is no question about the role of social media in education, we may view these digital networks as the main way for educators to pursue new knowledge and skills. Unfortunately, this mindset might lead to further distancing ourselves from the possible relationships right in front of us: Our colleagues in neighboring classrooms, departments, and schools. Have we successfully mined the possibilities that these potential face-to-face interactions will provide? My guess is no. This concerns me. What do we unknowingly give up when we add on and delve more deeply into online connections? Do we reduce our capacity for connectedness in our efforts to become “more connected”? I’ve attempted to counter these tendencies in my own role as a school principal. For the last two days, teachers have come together in face-to-face conversations regarding professional goals for the school year. When I listened to their ideas, I put aside my digital tools and gave them my full attention. Full disclosure: My phone was still present. Still, as I offered suggestions, I paid attention to how they responded physically, such as facial expressions and their eyes, as well as what they had to say. These verbal and nonverbal cues guided our conversation. One of the best feelings is knowing that you are being listened to. It’s hard to articulate, but you know it when it happens. You feel appreciated, acknowledged, and supported. There are certainly situations where online connections are the best option. Usually it is in the absence of in-person conversations. But when the opportunity for a real conversation presents itself, is it a priority or merely a formality? I have been reading an excellent resource lately. 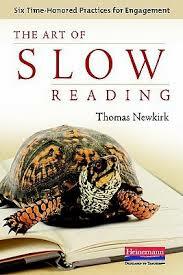 It is titled The Art of Slow Reading: Six Time-Honored Practices for Engagement by Thomas Newkirk. He was a college professor, former urban high school teacher, and now the lead editor for Heinemann. Isn’t this so much more accessible for people, young or old, instead of “Make better choices”? Dyer’s words seem worth owning. The phrasing and word choice also help to make the precept memorable. It is language that I am committing to memory. As you and your students explore excellent literature together this year, in what works will you all find phrases and principles to live through, share, and discuss? How might this slow down learning and deepen engagement in your classrooms? I am excited to find out – please share in the comments.